This image might not look like much, but it’s actually an amazing step forward for solar astronomy. It captures the image of a large sunspot not in visible light, but in microwaves. The difference is important because different wavelengths of light are emitted by different layers of the Sun’s surface. The visible light we see everyday mostly originates from the photosphere, which is the lowest or deepest part of the Sun that we can directly observe. Microwaves are emitted by the chromosphere, which is the next layer above the photosphere. The chromosphere is much less dense than the photosphere, and has lots of interesting phenomena such as filaments and prominences, formed by a complex dance of thermodynamics, magnetic fields, and plasma. The chromosphere is also unusual because it’s actually hotter than the photosphere. You might expect the Sun is hottest at its interior, and the farther out you go, the cooler things become. That’s true for the photosphere, but not the chromosphere. The chromosphere is coolest near the photosphere with a temperature of about 4,000 K, but heats up as you move outward, reaching a temperature of 25,000 K. Just how the chromosphere gets so hot remains a bit of a mystery. The mysterious heating of the chromosphere is also what typically allows us to see it. Although it’s very diffuse, parts of it emit visible light. We typically have to look at the edges of the Sun to see it (or during a solar eclipse) since the brilliant light of the photosphere is so bright. But in microwaves the chromosphere is brighter than the photosphere. 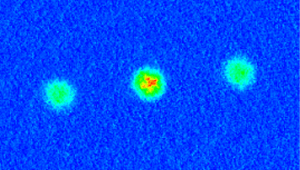 The problem has always been that microwaves are observed with radio telescopes, which typically have a low resolution. This new image is from the ALMA observatory, which can capture microwave images with a resolution rivaling that of Hubble. 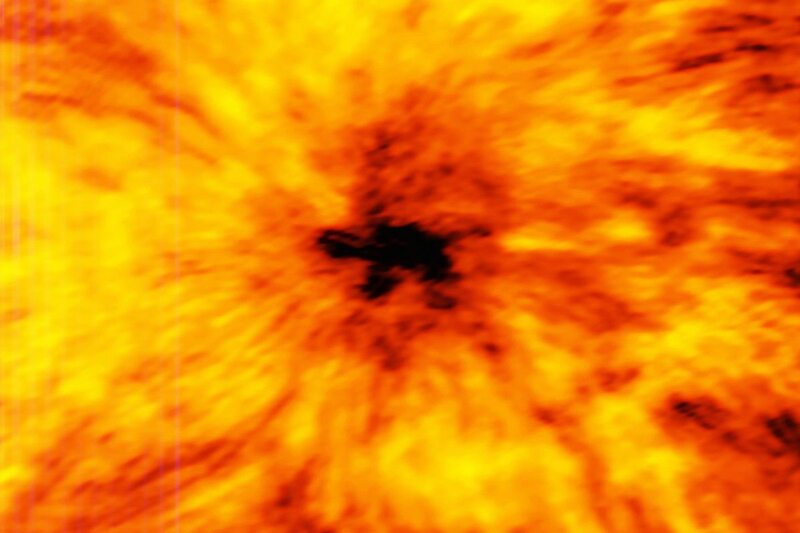 These new images have enough detail that we can start to see some of the complex behavior of the chromosphere. And that may help us understand just how the chromosphere gets so hot. Is the chromosphere the same as the corona?